H: Do you think The Glass Files is a tool that can be used for education and/or community building? How so? S: We always knew there was a strong educational component to The Glass Files because documenting and preserving family history requires both technical and storytelling skills. But when we launched we were surprised to get traction directly from educators wanting to use The Glass Files in their classrooms. TGF enables teachers to draw students into History through each individual's perspective, exercising all the skills that strengthen literacy while exploring fundamental concepts of computer science, data management and privacy on the internet, all of which are lifelong useful skills. The Glass Files is about building communities, whether they are families, schools, or cultural institutions, and bridging the generational divide by encouraging young folks to talk to their elders about their life experiences. H: Why did you choose the Bronx as a home for your company? S: The Glass Files is born out of the community of artists, technologists and entrepreneurs who have been thriving here for a long time. We would not exist if it weren't for The Bronx! The legacy of this borough has had worldwide cultural impact, so it's the perfect setting for a tech company seeking to democratize the way History is told. We've hired exclusively from our local community, as a result we have a hyper-diverse development team with an incredible level of talent and creativity, problem solvers like I've never met before. 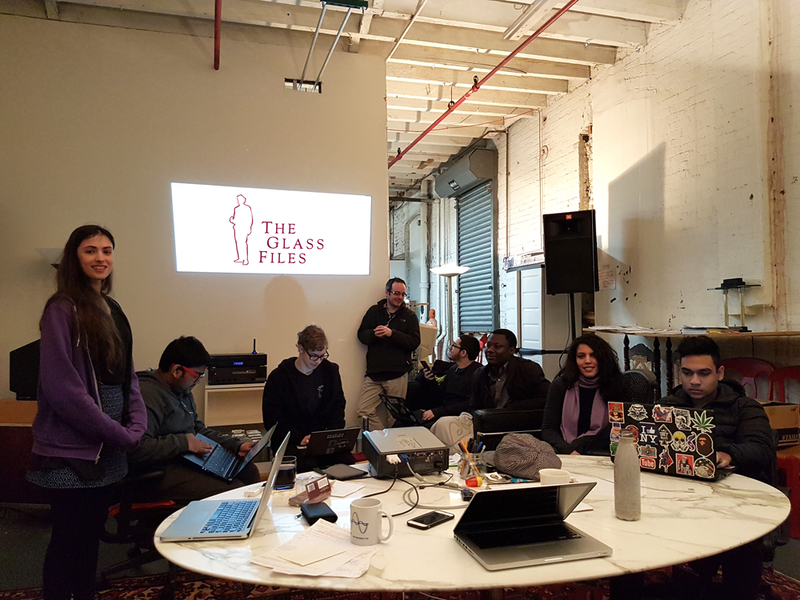 The Glass Files is a member of MetaBronx, the first accelerator in The Bronx, focused on tech startups owned and operated by women and members of cultural minority groups, and tech-enabled startups that solve the problems of the 99%. H: What are some of the biggest challenges of starting a tech company? S: The more unconventional you are, the more likely you are to innovate, because you are by definition outside of the status quo, and therefore you are challenging it. But the business community can be very traditional and conforming, so when your appearance and behavior don't fit a mold, you are much less likely to get the benefit of the doubt, and it can feel that you are simply not speaking the same language, no matter how compelling your vision or the product is! To thrive as an entrepreneur, my team, my idea, and my support system of friends, family and business partners, had to be like kryptonite, so strong that we are able to renew our commitment every time one of us faces rejection or makes a mistake. H: What has your experience been hosting students from the Bronx as interns? What do they learn from you? What do you learn from them? S: It has been profoundly grounding and energizing to work with over 50 high school apprentices from around The Bronx in the past 2 years. Students work with us on real live projects in media production, marketing, software engineering, product development, and sales, depending on their individual strengths and interests. They're hungry to be challenged, and I'm thoroughly impressed with how well they handle responsibility and take seriously the work that they do, not to mention how digitally savvy they are! My grandfather was their age when he was expelled from high school, and with his youthful intelligence and clarity, he correctly perceived the danger of Adolf Hitler, while his older family members couldn't fathom how bad things would get. So I truly believe that the youth in The Bronx have the answers to the most difficult questions of our time, and the potential to solve the hardest problems. Our friends over at The Public Theater are using a tumblr blog called Digital Dramaturgy to share different types media that relate to the productions it puts on each season. In an effort to connect our audiences to the world of our plays, The Public Theater presents Digiturgy: full of links, photos, videos, audio files & playlists, and more multimedia that expands the context of any given Public Theater production. Who else is excited about the new movie Black Panther movie?? 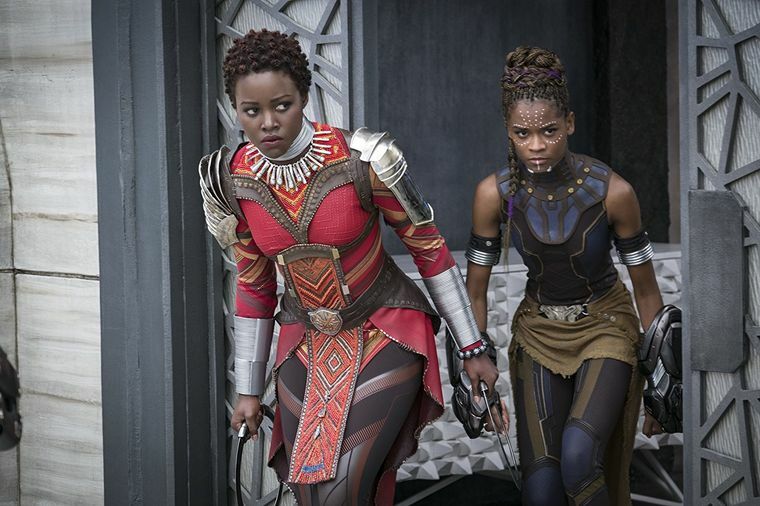 The movie, based on the Marvel comic book series, takes place in a technologically-advanced nation in Africa called Wakanda. The movie (and series) is a great example of Afro-futurism - a theme the Art Center Fashion class is exploring this year. In this article, the costume design for the film, Ruth E. Carter - who is well known for her earlier work on films like Do the Right Thing and Malcolm X - explains her range of inspiration for the costume design in the film. These included traditional clothing and design from a range of African cultures including the Masai people, 3-D printing, and high fashion. Black Panther comes out in February next year. You can watch the trailer here to catch a glimpse at the world Ruth E. Cather and director Ryan Coogler created. Meow Wolf is art collective in Albuquerque, New Mexico that has created a 20,000 square foot immersive installation that transports visitors to a fantastical world they can discover and interact with on their own. While that alone is pretty interesting - this 360 interactive video from the New York Times that explores the Meow Wolf installation is a fun example of how virtual reality and 360 cameras are creating new possibilities for telling stories. When you start the video, you can listen to a voiceover that tells a story and then you can click on the screen to move the view around 360 degrees. This allows you to see more of the space as you learn about Meow Wolf and their work. The NY Times releases daily 360 degree videos exploring tons of current topics and places around the world. You can also view the 360 videos in Virtual Reality if you have a headset or a Google Cardboard and the NYT VR app. I have a Cardboard set up at my desk, so stop by if you want to try it out! We should all know how algorithms shape our lives. You may have heard folks talking about algorithms lately - especially in terms of how search engines work. Algorithms are instructions created by people to tell technology what to do with information and data. While algorithms are digital they can have real-world influence. They can be used to trade stocks, decide what shows up on your social media feed, and even determine whether or not someone is let out on bail. Below are two video talks from people working to expose how algorithms can discriminate and why we should care about who creates them. First up is Safiya Noble, a professor of Information Studies at UCLA, who talks about how our reliance on commercial search engine algorithms matter more and more as public libraries close down. Next is MIT's Joy Buolamwini, who talks about her project, the Algorithmic Justice League which "highlights bias in machine learning" and adds more diverse voices to the conversation about algorithms and artificial intelligence. If you want even more info on how bias is being baked into tech, there is a new book out called Technically Wrong: Sexist Apps, Biased Algorithms, and Other Threats of Toxic Tech that goes into detail about how these instances of bias "are the result of an insular, mostly-white, tech industry that has built its own biases into the foundations of the technology we use and depend on." Extra :: What are Bitcoins and why is everyone talking about them? Bitcoin has been in the news a lot lately as its value has risen to new highs. But what is it? Bitcoin is a "cryptocurrency" - which is a " digital currency in which encryption techniques are used to regulate the generation of units of currency and verify the transfer of funds, operating independently of a central bank." Say what? I think it's best to let the experts explain it to us. Below is a great short video explaining Bitcoin and then a couple articles you might find interesting. Let me know if any of you get Bitcoin in your stocking this year! 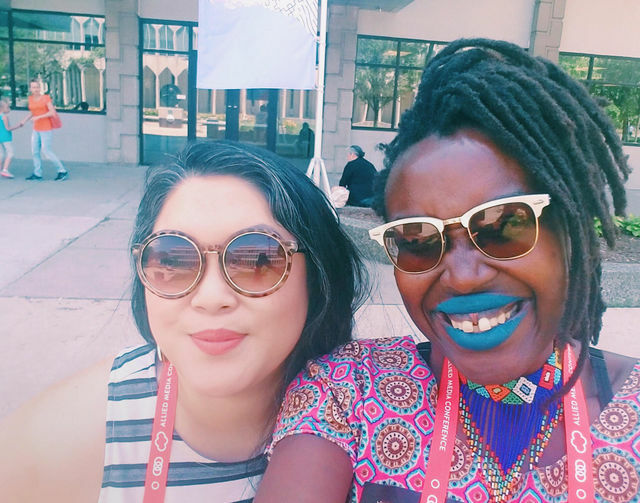 The Digital Media and Learning Conference this year was bookended with two powerful talks about the state of the Internet. The opening talk from dana boyd was a shocking account of how the far-Right and trolls have been able to gain support for their ideas across the web and how major tech companies aren't doing enough to stop it. Her presentation gave me a lot of anxiety, but it was a helpful history of how we got to this point in time. On the last day, the final talk was a conversation between Henry Jenkins, a professor at USC (and my thesis advisor!) and Esra'a Al Shafei, a LGBTQ rights and political activist from Bahrain. Esra'a founded the tech platform Crowdvoice.org which is using innovative approaches to facilitating communication and organizing online that value community building and security. Esra'a's thoughts gave me hope for the future and also helped me understand the hard work that is ahead of us to build a better web. A friend of mine, Slammer, along with collaborator, Tania Lee, gave a presentation about digital security at this year's Allied Media Conference. In this interview with them, they share how they came to support digital security work and also a lot of great resources. As we enter the New Year, it's a great time to take a look at your digital life and make it safer! This year, we've been trying out some staff tech trainings at DY. The first two focused on audio: Podcasting and Audio Editing with Keith and Recording Audio in the Studio with MiC. Soundtrap - https://www.soundtrap.com/edu/ - a digital platform where you can store, share, and create online audio creations. There are both free and paid versions. Newer PostMeet our new Board Members!